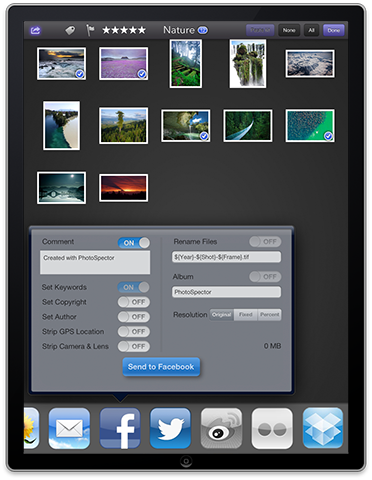 Change file names, metadata, and resolution and upload to social and cloud services. Zoom in past the pixels and examine numerical values and individual RGBA channels. Realtime color adjustments on full-resolution images. Copy and paste settings to entire groups of images! Crop your image with fixed or free aspect ratios. Rotate and flip images to any EXIF orientation. View all metadata fields in a single scannable list and toggle between images to compare. Create keyword and smart metadata search folders. No need to import photos into our app. No cloud storage required. 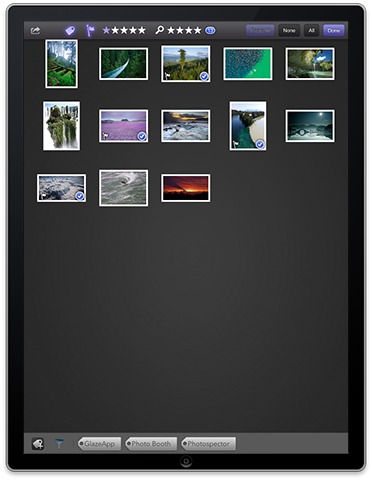 Photospector uses the standard device gallery and your existing cloud photo services. Create new keywords and apply them to individual or groups of images. Automatic extraction of keywords from images simplifies searching. Create your own personal keyword database. Select output size, naming, and metadata options. Share to all major services. Strip GPS information, add Copyright, Author and Comment tags. View full resolution, unlimited size images and edit in realtime using the Virtuoso virtual texture engine. Support for 50+ megapixel images with minimal memory and storage requirements. Transfer, edit and view full resolution images down past individual pixels. Perform basic image transformations instantly. 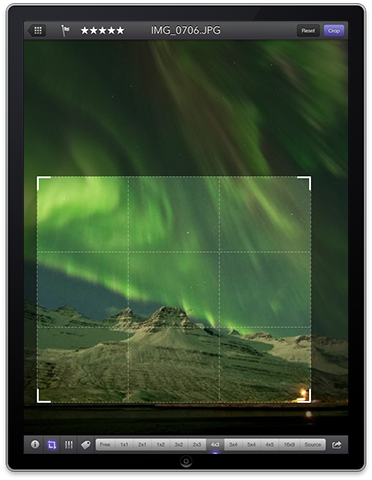 Fixed or free-form cropping with intuitive controls that retain specific aspect ratios. Full support for all EXIF orientations! 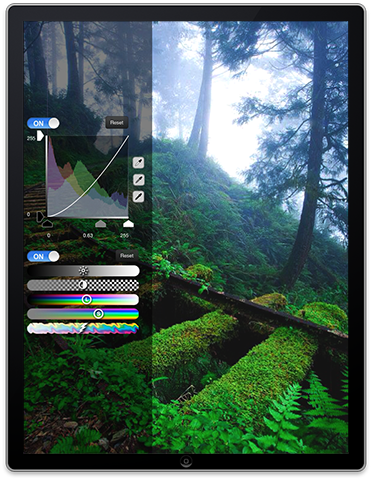 Color adjustments that work in realtime on the full-resolution image using GPU shading. Professional curve editing and eyedroppers to set white, black and gray points. View individual color channels and apply false color to view data images. Select multiple images and apply keywords, flags or color adjustments to all of them instantly. 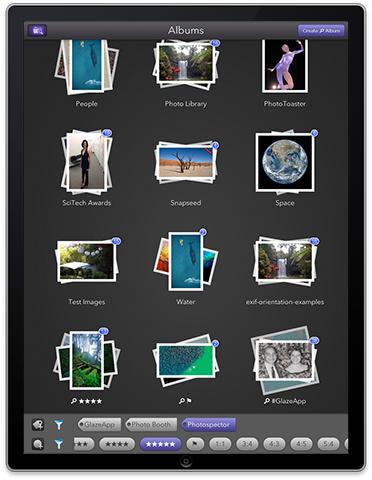 Share groups of images easily, renaming files using shot names and numbers. View all the image metadata in a single list, for fast scanning. 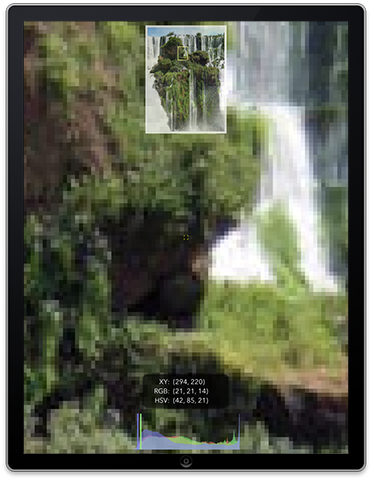 Toggle between images to compare metadata. Quickly check keywords and star ratings. Zoom in past the pixels and view numerical color (RGBA) channels. 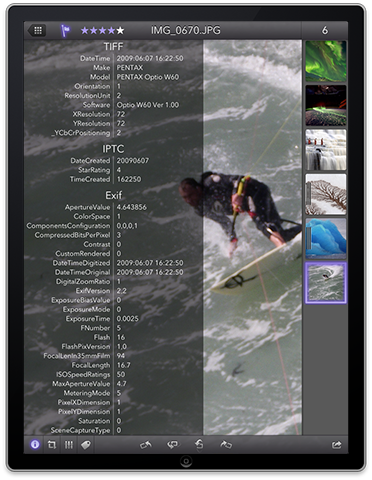 View each channel separately, using random and false color to see changes to individual pixels between image versions.